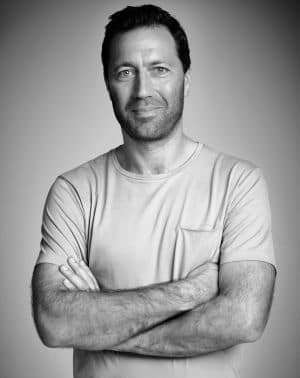 Steve Coll, were responsible for a great deal of high profile work from the agency, including its first ever Cannes Lion in 2012, and a slate of other awards thereafter. Before that Carr was executive director at Saatchi & Saatchi, a role he held for more than five years. He also held positions at M&C Saatchi and WCRS. Until Carr's appointment, BWM executive planning director and partner Jamie Mackay had been working in the dual roles. BWM Dentsu Group CEO and partner Paul Williams said finding the right person to take on the role as MD of the Sydney office was an undertaking of nearly two years, but that Carr was worth the wait. "BWM Dentsu is incredibly lucky in that we have a strong team and a great stable of clients," Williams said. "When we were looking for someone to run the team, we were conscious that we needed to find someone who would gel with our people and create the kind of ambience that fosters world-class work. “In Alex, we have found someone who will drive the agency and our ideas forward while maintaining the core values of BWM Dentsu." On his new role Carr said: "This new challenge is all about helping to propel BWM Dentsu Sydney forward and fulfil its potential. The aim is simple. Produce best in market creative product, utilise the incredible talent and skills in the Dentsu network and deliver meaningful results for our clients. “Working with the team and the partners at BWM Dentsu, and with the support of an incredibly ambitious network, I am very confident that the outlook is very rosy indeed." A total of 51% of BWM was acquired by the Dentsu Aegis Network in February this year and is the flagship creative agency brand of the Dentsu Aegis Network in Australia. BWM Dentsu has hired Havas Worldwide's managing director Alex Carr as the new MD for its Sydney office. Carr has held the MD role at Havas since November 2012. Carr, along with CEO Anthony Gregorio and former executive creative director Steve Coll, were responsible for a great deal of high profile work from the agency, including its first ever Cannes Lion in 2012, and a slate of other awards thereafter.